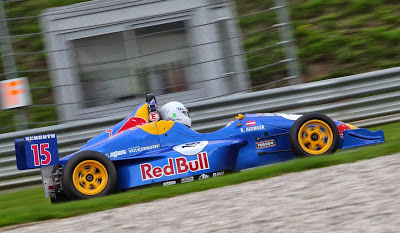 In 2000, Austrian Bernhard Auinger won the Formula Konig Championship driving Red Bull’s first sponsored racecar. 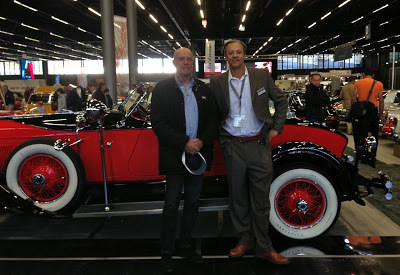 Today it is raced by Sarasota Café Racer Ottokar Jacobs. The Red Bull Konig, now owned and raced by high-profile vintage Porsche collector and vintage racer Ottokar Jacobs, was originally driven by Bernhard Auinger (Team Motorpark Academy). 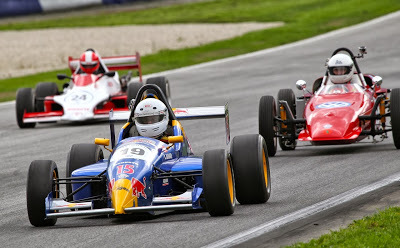 Auinger won the 2000 Konig Championship. 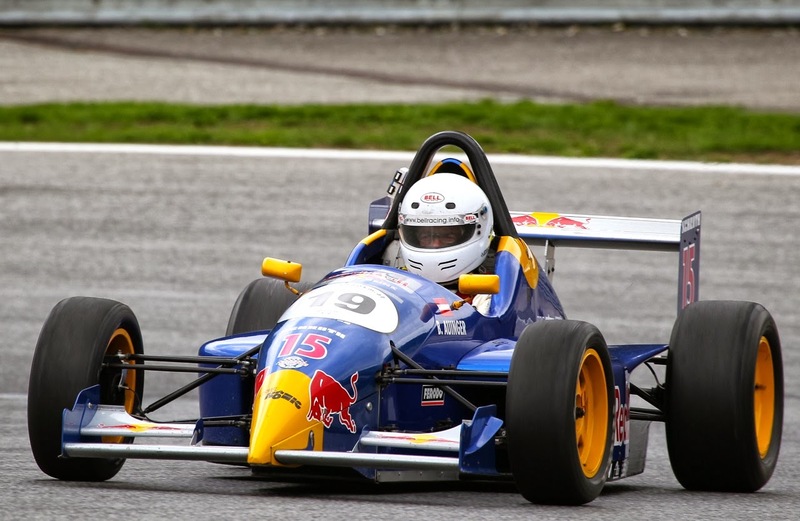 Powered by a 140-horsepower VW Polo GTi engine, the super-light Red Bull Konig open-wheeler was also driven in 2001 by Formula One great Sebastian Vettel. 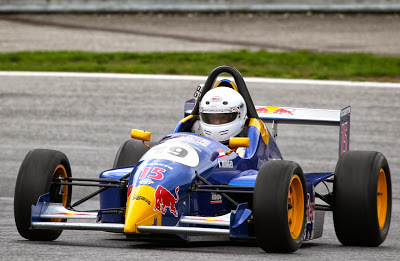 He currently drives for Red Bull’s Austrian-based racing team and won the Formula One World Championship in 2010, 2011, 2012, and is the current champ. 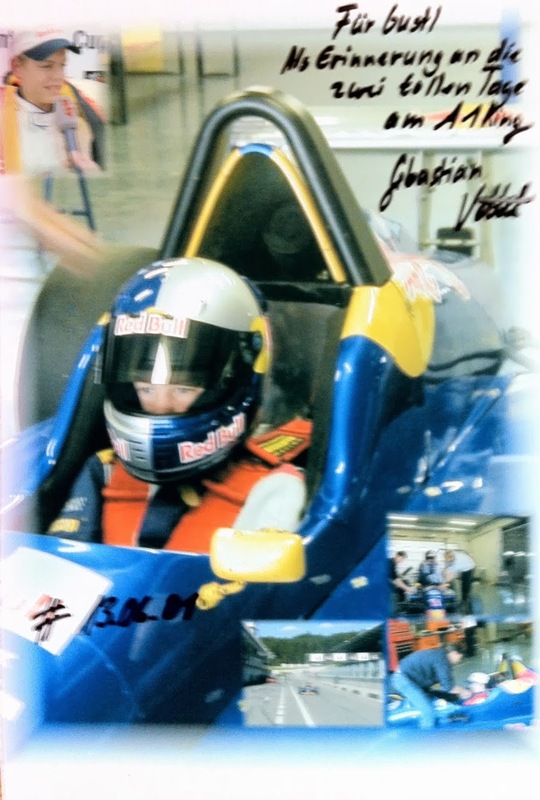 When he drove the Konig, right, Vettel was just 14 years old and racing go-carts! races in the Euroseries 3000. 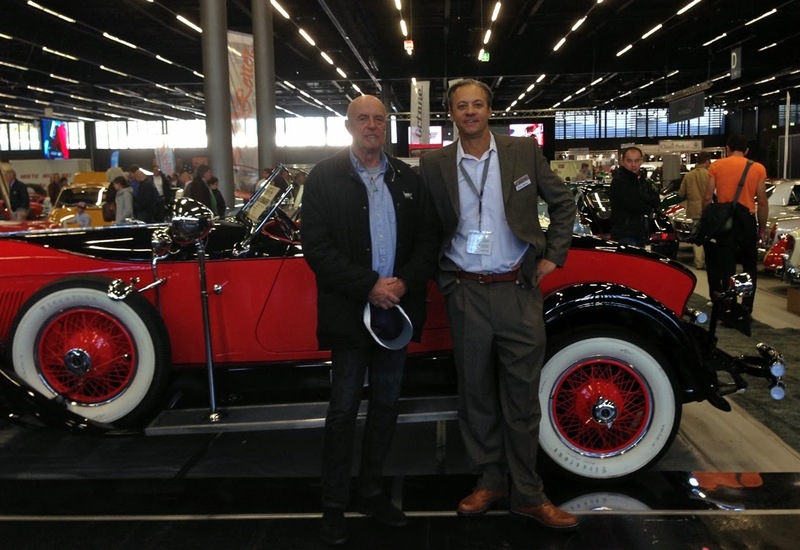 Jacobs, left, with Tom Miller, Oldwick (NJ) Café Racers at a car show in Austria last week.